Did you hear that 'Murdered: Soul Suspect' is coming to PS4 & Xbox One? 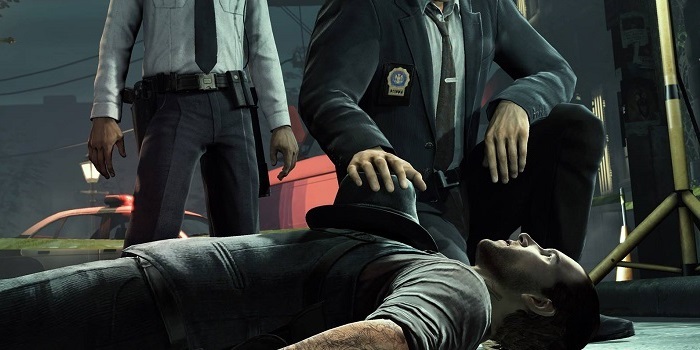 It is now known that Murdered: Soul Suspect is coming to current gen consoles this June, but now it has been confirmed that the game will also be available on the next-gen consoles. It was originally unknown whether or not it would be making it to PS4, but IGN confirms that Square Enix cleared everything up recently on release platforms. The game is described as a supernatural thriller that tasks you with solving your own murder, and definitely is one of the more interesting new IPs that’s coming out this year. The concept kind of reminds me of Shadow of Destiny in a way, and any game that fits that same kind of noir-mystery makes me automatically excited. Murdered: Soul Suspect is expected to come out sometime in June on PC, PlayStation 3, PlayStation 4, Xbox 360 and Xbox One. Check out the Every Lead trailer below. This entry was posted in Featured, News and tagged AirTight Games, Murdered: Soul Suspect, Square Enix on February 4, 2014 by Mike Guarino.